An under-achieving small-town bumpkin, a beautiful and educated young woman, a visiting quack doctor, and a blustery recruiting officer. A small village in the middle of a rural landscape, a collection of townspeople and farmers. Gorgeous tunes, lovely duets, uproarious comedy. The Music Man? Oklahoma!? No, it's the delicious comic opera by Donizetti, The Elixir of Love. Who doesn’t love a good rom-com? 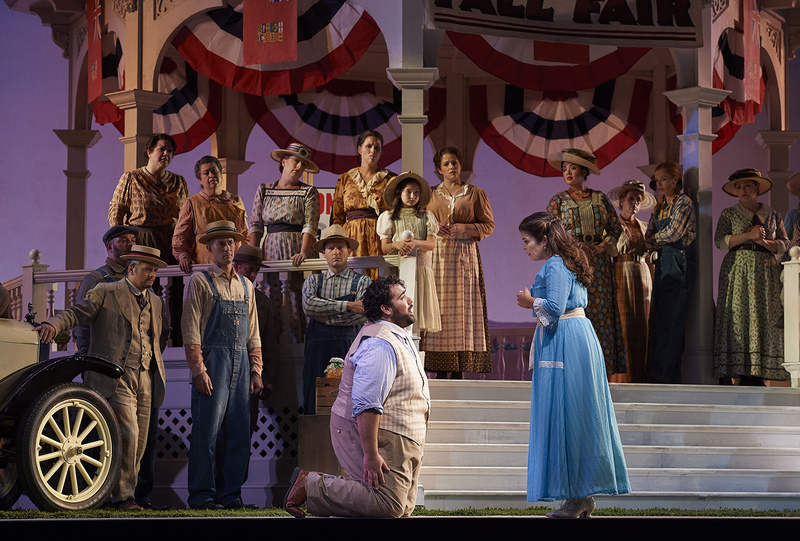 Donizetti’s The Elixir of Love is a bubbly concoction of romance, humour and beautiful bel canto. It’ a timeless story that sees a kind-hearted but impoverished young man sees the powers of a “magic” potion to win the woman of his dreams. 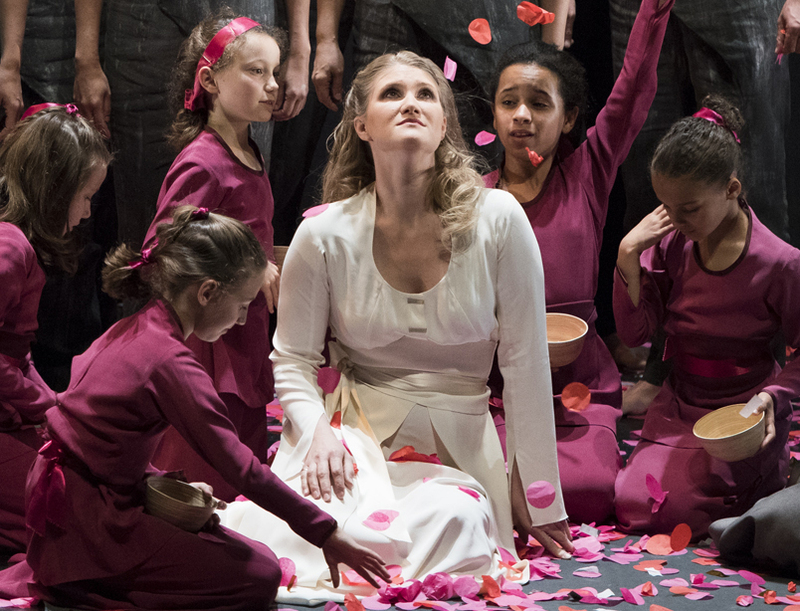 But unlike the Tristan and Isolde myth, which the opera nods to (and Richard Wagner would adapt to very different effect in his famous music drama more than 30 years later), love triumphs and the good guy wins out in the end. It serves as a perfect showcase for the three recent Ensemble Studio graduates to reunite on the Four Seasons Centre stage: tenor Andrew Haji stars as the love-struck Nemorino, alongside soprano Simone Osborne as the object of his affection, Adina, and bass-baritone Gordon Bintner, as the pompous Sergeant Belcore. 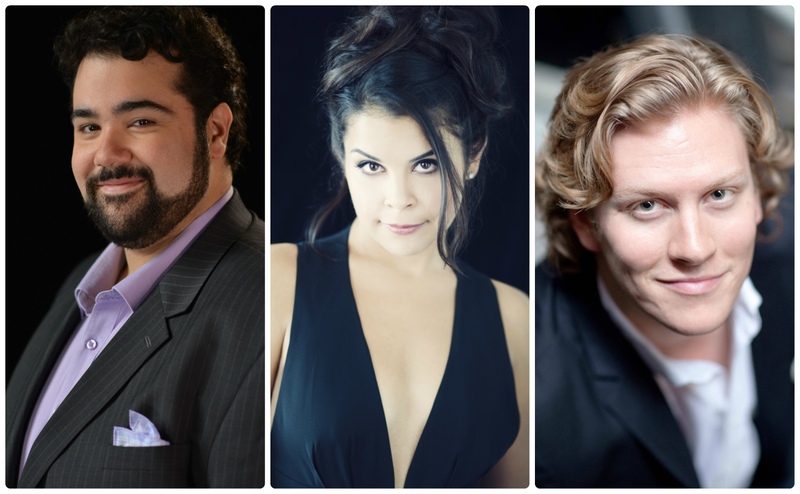 We checked in with them to find out what they love most about Donizetti’s popular comedy. Get to Know Jane Archibald! Jane Archibald is the COC's inaugural Artist-in-Residence for the 2017/2018 season. in addition to the performing the role of Zdenka during our fall run, Jane returns this winter as Konstanze in The Abduction from the Seraglio (one of her most acclaimed roles), and the Nightingale in The Nightingale and Other Short Fables later in the spring. Jane will also give a recital as part of the COC's Free Concert Series in the Richard Bradshaw Amphitheatre on Tuesday, February 20, 2018, with a program titled Vienna to Paris.